1. I've watched ever single Academy Awards show since they were first televised in the 1950s. Never, ever missed one. 2. 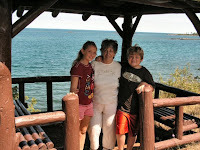 I have three grandchildren and the first and second one are 24 years apart. 3. I wanted to be a singer but I was too homely and too shy. That was before Barbra Striesand. If I had been born after her I might have actually tried it. I could sing pretty well, but not nearly as well as Barbra. 4. I hate Jazz. I don't just hate it, I despise it. I can't watch the weather Channel's "Weather on the Eights" because they insist on playing Jazz. I could never listen to NPR all day long, because there is altogether too much Jazz. When they play Jazz as the "On Hold" music, I have to hang up, no matter how important the call. 5. 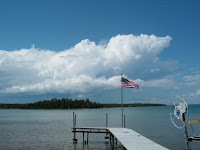 I've wanted to live on an island ever since I was a little kid, and so far I've lived on two. 6. My left arm is almost a full hand length longer than my right arm. 7. I am half Italian and half Finnish. I love being both, though they couldn't be farther apart in looks, temperament, religion and geography. So I've fulfilled my part here. I'll be tagging some others and when I do, I'll post them here. 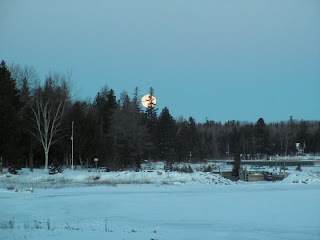 Yesterday we wo ke and opened the curtains just in time to see the December full moon slowly sinking behind the low trees on the west side of the bay. 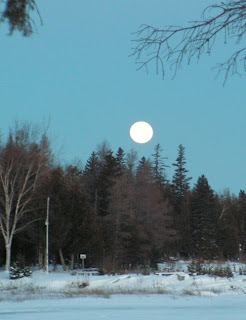 The tilt of the earth in winter gives us a view of the setting moon that we don’t have any other time of the year. In summer it rises behind the cabin, above the tall trees, stays for a brief glimpse, and then eases out of view while it’s still high in the sky. It’s rare in winter to have a clear morning sky, so I think I can safely say that until yesterday I’ve never seen the setting moon over these waters. Which is why, even though no number registered on the thermometer—it read zero—I threw my jacket on over my nightgown (the nightgown that goes to my kneesies), jammed my bare feet into my Crocs, grabbed my camera, and raced out onto the deck in order to catch the last of that moon sinking behind the trees. Just so you could see it along with me. That was yesterday. Today the temps went up to 36 degrees and everything began to melt. Which was fine with me—love the fluffy white stuff, but that gray, soupy junk not so much—but then we heard that by tomorrow the digits were dipping to singles again. 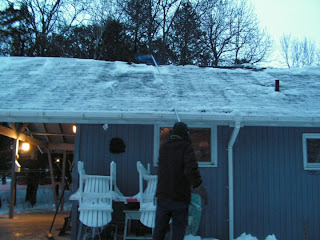 That meant that the ton of snow on our roof would likely compact and freeze into two tons of ice. So out came the greatest invention known to Northern Man—or Woman. The snow rake. The snow rake has no moving parts, no fancy screen, no chips, no pixels, no memory, no earthly way to program it—but all by itself, it does the best job anyone has ever seen of pulling tons of heavy snow off of snow-clad roofs. Well, wait—it doesn’t do it all by itself. It takes some manual labor to get it to do its thing. Sometimes a whole LOT of manual labor. But the point is, it does it without balking, without stalling, without coaxing or coercing. It’s simply a slightly curved metal rectangle attached to a v-e-r-y long pole. You position that rectangle at the top of the roof and drag it down until the snow falls off the edge and onto the ground. That’s it. When the snow from the roof falls to the ground, it’s where it should be. 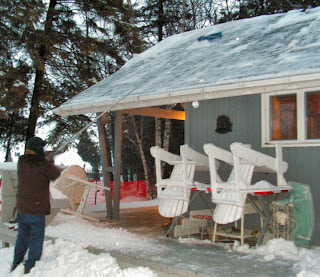 But when it falls onto the deck, it’s only the first step in the snow removal process. That’s where I come in. Step number 2 requires that someone take that heavy mound of snow and somehow shove it off the edge of the deck and onto the aforesaid ground. Because Northern Man is busy with the roof rake, Northern Woman (me) must take up the snow shovel and figure out a way to get the now cement-like mound of snow off of the deck without killing her knees or breaking her back. I’m here to tell you, it can be done. Here’s how: A little at a time. I grab a little at the edge and push. Grab a little at the edge again and push. I do this until I get to where the mound gains height and then I have to rethink this thing. I chop a chunk, grab a little and push. Then I repeat until the mound is gone. All the while I’m working, I hear that damned snow rake scraping across the roof on the other side. The snow feels and sounds like an avalanche hitting the deck, and I think to myself that this whole process might be absolutely fascinating if I wasn’t the one who had to go over there and start shoving again. NEWS FLASH: We heard tonight that there’s been a change in the weather. The predicted arctic blast is taking its time getting here. High temps will be 33 degrees tomorrow. That means most of that snow on the roof would probably have melted on its own by the time the REAL cold got here. Oh, that Mother Nature. She's a piece of work, isn't she? 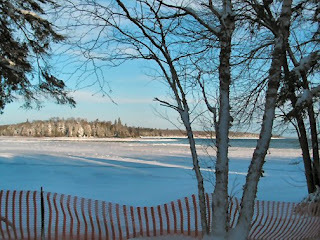 Yesterday morning I took this picture of the ice forming across our bay. The temps have been in the single digits for several days now, so I guess I knew I was looking at the last of the open water. This morning we woke up to a totally covered bay. I'm not ready for this! It's way too early for the open water to disappear. Winter is still two weeks away. 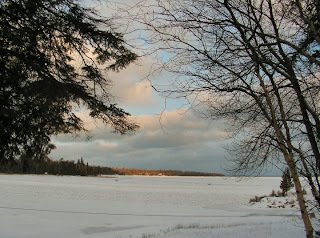 I'm hoping a huge north wind will come along and shove the ice toward shore again, but the odds are that the ice cover will be there until spring. 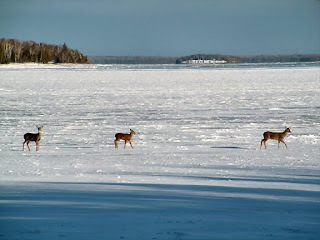 Every year soon after the bay freezes over we watch the deer gingerly work their way out there. How they know it's frozen enough for them to walk on, I can't even fathom. But we've never seen them fall through. They're like little kids exploring this new territory--they wander aimlessly around, checking it out, and then when they've had enough fun, they amble back to the trees. There is no food out there, so it's not as if they have to go there. There is no protection out there, so it's a bit of a gamble for them. But, like little kids, they throw caution to the winds and just wanna have fun. 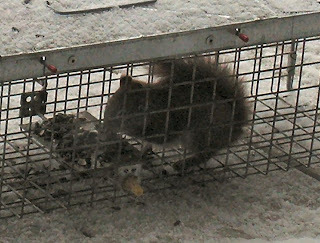 Yesterday, we watched this little squirrel wander into the trap to eat the bait on the spring-loaded lever that slams the doors shut when and if he sets it off. This little bugger ate it all and then calmly wandered out again. If the doors had slammed shut on him, my husband would have put the cage in the trunk and then would have driven the little guy to a lovely squirrel resort area far enough away from habitation that he won't make a pest of himself. He would be joining a vast immigrant population that have been transported over the years in this same cage by this same human. We don't harm animals here, but neither do we want to open our doors to them. We used to buy bushels of corn to feed the deer before we realized how easily disease spread through their population when they congregated too closely or fed from the same trough. Now we throw out a few apple peelings for them and let them dig through the compost pile for leavings, but they know we're not a reliable source of food. We need to keep it that way, even though there's a real chance that some of them won't make it through the winter. 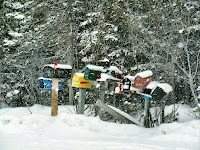 I've long ago given up trying to figure out the hows and whys of Mother Nature. Can't live with her, can't live without her. . . When I started this website I hadn't planned on it being so "photocentric" (Is that a word?). But the more I take pictures, and the more I look for the right light, the right angles, the right moment, the more I realize I'm totally hooked. I can't go anywhere without my camera anymore and, while I don't necessarily take award-winning pictures, I'm almost always pleasantly struck by what comes out of that camera. This is what I saw when I woke up this morning. And this is what it looked like in daylight. 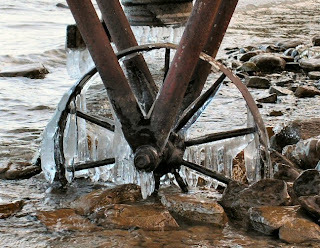 Of course, much of what happens in winter seems counter to the laws of nature. Especially MY laws of nature. For days now a big old hairy Alberta Clipper has been working its way down from the plains of Canada, heading for the relatively warm Great Lakes where it's known to pull moisture up into the clouds, travel to the Midwest snow belts, and unceremoniously dump it in the form of snow on the poor helpless folks who, every winter, still choose to live there. 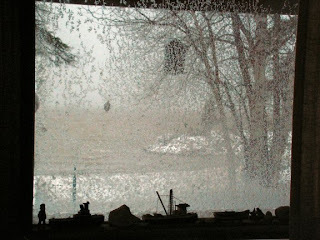 We watched the news of the Clipper with a sort of bemused but detached interest, because, historically speaking, those Lake Effect snows coming across the lakes never, NEVER affect us over here. For us to get that kind of snow, it would take a big wind sweeping up from the South, pulling warm moisture from Lake Huron, creating snow in a cloud, and then dumping it on us. 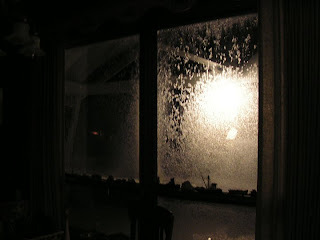 So last night we weren't worried at all about the prospect of a lot of snow for us. It just doesn't happen that often, and especially not this early in the season. 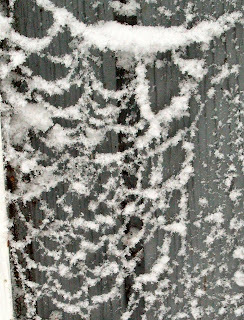 But this morning the winds shifted to the Southwest and by mid-day, to our surprise, billions and billions of great lacy flakes were floating out of the sky and sticking wherever they landed. 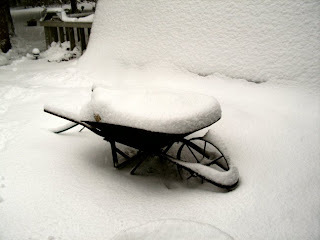 We couldn't shovel it away fast enough. By nightfall we had a good eight inches on the ground and more in the drifts. The first snow is always exciting. It's a Photo-Op I can never resist, even though snowfall pictures, now numbering in the many hundreds, all look pretty much the same from year to year. Yesterday the winds were kind and it was actually pretty pleasant shoveling and pushing that snow around, even in 28 degree temps. I had to stop and stick out my tongue to collect snow flakes, of course. All kids do that when it snows. There are some places we happen upon that are so pristine and so special, we hope no one else ever finds them. Selfish, I know, but that's what makes them so special. . .not many people have discovered them. No campfires, no beer cans, no human-borne flotsam to spoil their incredible beauty. I call this "Mossy Glade". 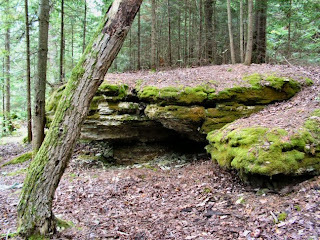 It is a place here on our island, not far from a park trail, but you have to be looking for it in order to find it. I like to pretend that I discovered it, but of course I didn't. This is a scene not unlike any you might have seen somewhere else, but from this vantage point it's a one-of-a-kind. This is a place where we can watch Northern Lights. So far, I haven't been able to figure out how to photograph them, so for now I'll just treasure every fleeting moment of them. 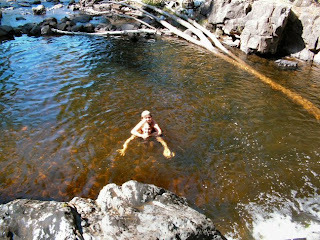 This is a swimming hole on a river that flows into Lake Superior. It is one of those places that generations of people know about and come back to, but its location is guarded against outsiders. If you were truly observant you would see that the side of the road has been carved into a pull-off, and that every now and then a car is parked there, but nothing about it would make you curious enough to stop and check it out. Nothing to see here. Move along. 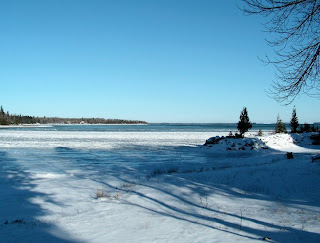 This is a boardwalk and beach at the mouth of the St. Mary's River. 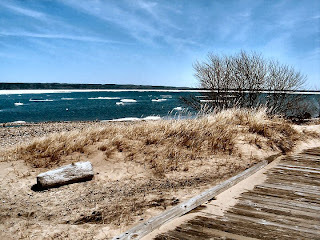 It is early spring and there are still ice floes on the water. Nobody else was there. Guess who was happy about that? 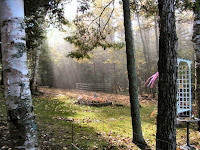 This is what is left of an old cemetery in the Keweenaw Peninsula. It is near what was once a thriving turn-of-the-century mining community. 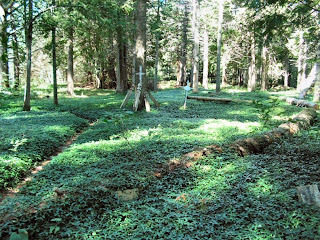 The ground is almost totally covered with myrtle and thimbleberry bushes, and the narrow, winding path seems eons old. 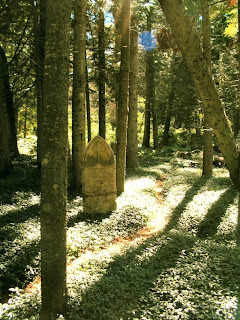 The few headstones still visible are for people who came to this place from western Europe and the British Isles to start a new life during the copper mining boom. There is a small sign at the edge of the road, but most people drive right by. That suits those of us who make the pilgrimage nearly every year. It appears untouched and mystical and if we talk at all, we talk in whispers. Here it is Election Day (Yay!) 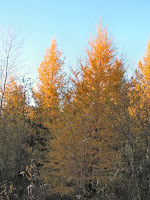 and we’re still seeing color in the woods, thanks to the tamaracks. 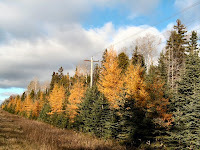 The birches turn golden after the hardwoods drop their leaves, and then when the birches are nearly gone the tamaracks take over, delighting us with a last splash of color. 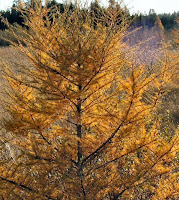 Tamaracks (also called “larch”, as in Monty Python’s “The LARCH”) are the only conifers to actually shed their needles in winter. The first tim e I saw all those bare branches I thought some terrible disease had suddenly decimated entire stands of trees. But in late fall they’re gorgeous—as if, like the hardwoods, they feel the need to give a grand, final performance before shutting down for the season. I don’t remember seeing tamaracks before we moved up here to the eastern UP (and, in fact, 40% of the state’s tamaracks are in the eastern half of the Upper Peninsula), but now I’m seeing them downstate as far as Saginaw. Is that normal or is it a sign of glob al warming? I don’t know. It’s raining right now and fog is nearly covering the bay, so I decided to look away, cozy up, and search out some of the pictures I’ve taken that show the glory of the Autumnal north woods. 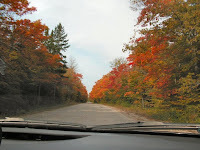 What an unbelievable color season this was. 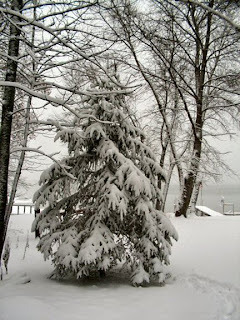 It came late this year, but when it did come those trees seemed to fancy up almost overnight. Every year we try to take a color tour, timing it when the colors are peak. 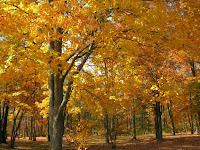 We’re not famous for riotously colorful hardwoods here in our area. We’re nearly surrounded with wetlands, which means ced ar swamp and a few lovely, welcome birches. So usually we wander off for a night or two, heading for the hardwood forests to the west. This year we couldn’t do it, but it didn’t matter in the least. We found plenty of it right close by. Then, when we headed downstate out of necessity (we NEVER head toward the cities unless we absolutely have to), we found the most gorgeous color in a roadside REST AREA. 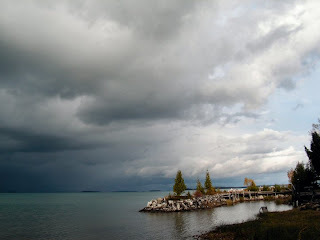 Michigan is a beautiful state, but largely unsung for some reason. So I challenge anyone to come here in the fall and still maintain they’ve seen better color elsewhere. NOT SO! 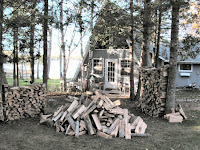 After waiting for quite a while, our winter stash of firewood finally arrived. We ordered six cords, and it’s always a crap shoot whether we get what we paid for. I don’t mean to say those woodsmen deliberately cheat us. . .no, I would never say that. . . but how is it that they always under-measure and never over-measure? This year, after some minor “adjusting”, we think we’re as close as we’re going to get to an honest six cords. But it’s all hard wood, which is a pleasant surprise for a change. Usually we pay for all hardwood and get at least a cord or more of birch, which is pulp wood at best and burns like paper. Our stove doesn’t like it, either. 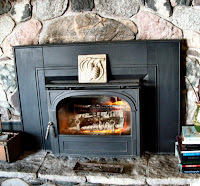 It creates soot and creosote and doesn’t maintain a steady heat like good old hardwoods do. Most wood sellers claim to sell “seasoned” hardwood. That’s a laugh, too. My idea of “seasoned” and theirs are two different things. Yes, the wood is lovely looking, and a whole lot of it is Beech, which is just the very best for long, smooth burning—but when it’s green and when it’s heavy it’s NOT seasoned! Seasoned means it’s had a chance to dry for a season or so. Seasoned is DRY wood. Dry. That means dry. That means light in weight, with lateral cracks. Not green, not oozing. Our fussy stove doesn’t like that, either. Now, six cords won’t heat our cabin for the entire winter. Not even close. But it will keep us going with as little help as possible from our propane-eating behemoth of a furnace. We close off the back half of our cabin in winter and it becomes an unheated storage room. We keep potatoes and apples and extra water close to the inside door, where it gets some heat, and they do just fine there. 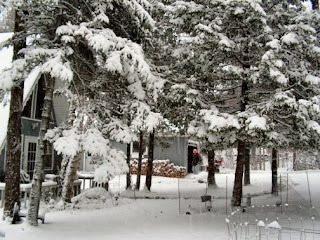 Just before Christmas, we’ll close up our beloved cabin—shut it down entirely, draining water and removing all the canned goods and perishables—and head south for the winter. 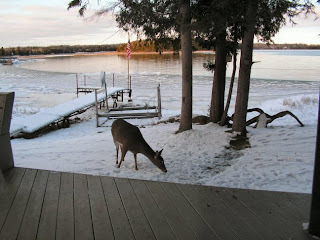 Then we’ll be back in early April, in time for the spring migration and the break-up of the bay ice. There will still be plenty of snow on the ground, but we’ll be excited to shovel away the snow and open up again. 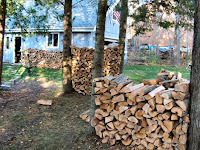 And hopefully we’ll have enough wood left for some needed cozy fires. It’s been a long time since I’ve had a chance to write in here. It’s summer at the lake and it’s beautiful, but we’re in the midst of a family crisis and all of my energy has been directed there. The worst of it seems to be over, at least for the short haul, but there is still much work ahead. It’s early morning and I’m sitting on my deck looking out at water so placid it could be a painting. Farther out, past the point that sculpts our bay, the wind is churning up the waves and I see two sailboats heading west toward the shipping channel. 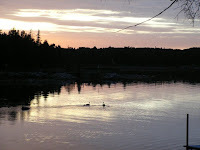 I hear a mourning dove calling, and now a string of Canada Geese are working their way along the shore. A while ago a kingfisher landed on our dock post and sat still for just a moment before taking off again. It’s quiet this morning and even in August there is a Fall chill in the air. The dew is heavy on the grass, and even though I’m bundled up in sweats and shivering under an afghan, I’m overwhelmed and suddenly grateful for these beautiful moments. 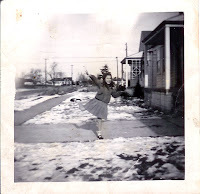 I come from a long line of depressives and have had to fight it many times in my life. My own cure comes, I’m convinced, from aggressively seeking out beauty. But I’m not the first one to grasp the profound healing properties of beautiful things. Since early man we humans have purposely sought out anything that even hints of feel-good properties. We adorn ourselves with objects that have no necessary function other than to please us. We pierce our ears (and other body parts) in order to hang shiny doodads from them. From the earliest times we’ve woven fabrics and intricately etched leathers into colorful clothing. We’ve scratched and stained our skin, creating fabulous tattoos. We’ve worried our hair and plastered it with glop in order to create a whole new us. The history of adornment tells us much about what separates us from the animals. 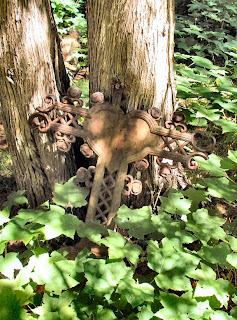 I believe its roots are in our almost desperate need for beauty. 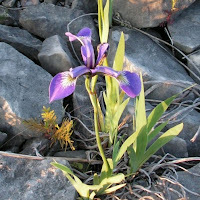 Beyond our own self-images, we’ve created beauty by gathering seeds and planting flowers in otherwise barren places. We’ve painted gloriously vibrant scenes on cave walls. We’ve built structures of staggering proportions under seemingly impossible conditions for no other reason than to protect and admire the gorgeous treasures we’ve created. And throughout all time we’ve lavished attention and affection on those few mortals who stun us with their own creative visions. From artists to musicians to writers to sports idols to moviemakers, we love them for their ability to transcend the ordinary and bring us outside of ourselves to a beautiful ecstasy we can never stop craving. The kind of beauty that calms us to our very souls can be found almost anywhere. I remember seeing a photograph of an old woman standing proudly in a tiny, filthy room strewn with trash. She herself was dressed in rags, but she was smiling and pointing to her one, lone window. She had found an old calendar somewhere and had torn out the pages and taped them to her window. Whatever dismal view she once had was now replaced with visions of the Taj Mahal, the pyramids at Giza; with mountaintop sunrises and Chinese junks on a lovely, winding river. Beauty is a gift we can all give ourselves; a treasure free for the taking and available everywhere, if we only open our eyes to the wonders of it. 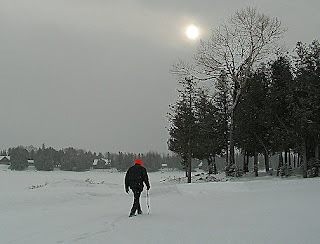 In Thoreau’s Walden, he says, "I went to the woods because I wished to live deliberately, to front only the essential facts of life, and see if I could not learn what it had to teach, and not, when I came to die, discover that I had not lived." It’s probably the most famous quote from Thoreau’s journals, written in the mid-1840s right after he built a small 10x15 cabin on his friend Ralph Waldo Emerson’s woodlot. Millions of people since then have taken it as the clarion call for a stab at their own mystical wilderness experiences, and a fine set of words they are. But the truth is, as deliberate a life as he might have lived, as solitary as he may have been, secluded he was not. His rude cabin on the shores of Walden Pond was a mere mile and a half from Concord, and within calling distance of a spot where two active roads converged. Emerson allowed him to build his cabin in exchange for some work around the 14-acre property—namely clearing away brush and replanting trees--and Thoreau used his time there to write. He was not a hermit, even though he called himself one fairly often in his writings. Turns out it was tongue-in-cheek, even though, again, the legend lives on. He was a mere 23 years old when he moved to Walden Pond, and he lived there for only two years before moving into Emerson’s house in town. When I was younger and locked away in the city, I read Walden (and later, Civil Disobedience, when "disobedience" against the ruling factions was still seen as our patriotic right, if not our duty). In the midst of the chaos of my young life, the thought of living so simply in a small cabin in the woods was heartbreakingly seductive. Thoreau did it when he was broke and without a job, and it worked for him—yes it did. So why not? And during a fair number of fleeting moments, I worked at devising an escape plan that would take me away and plunk me down in a Walden Pond of my own. Apparently I wasn’t alone. I swear, it’s what kept multitudes of us city-dwellers going. So imagine my surprise when I discovered just how close to town Walden Pond really was? 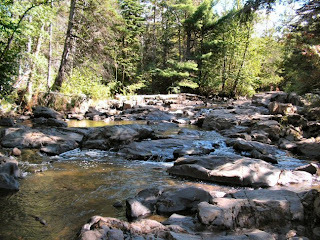 How unlike any kind of wilderness Thoreau’s setting really was? Instantly, I thumbed my nose at him—lousy dilettante!—and dropped him from my then nearly-stagnant list of role models. 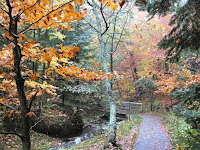 Look here for more on Henry David Thoreau. One day I was sitting on my Sittin’ Rock looking out on the bay, and it suddenly came to me that if I had a boat big enough, I could shove off from our dock, go around the bend to the shipping channel, follow it into Lake Huron and then head down through the St. Clair River, across Lake St. Clair, down the Detroit River to Lake Erie, onward east into Lake Ontario and the St. Lawrence River and finally float into the Atlantic Ocean. From there I could sail the world’s seas to parts so exotic even the National Geographic would marvel at the stories I would have to tell. I could do that—though, sincerely? I never really would. Still, it’s pretty thrilling to think that the seemingly placid waters in front of our cabin could, in fact, carry us to the far reaches of the entire planet. 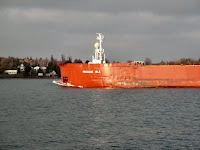 From our island ferry dock and all along the St. Mary’s River system we see Salties from all over the world passing upbound to go through the Soo Locks into Lake Superior or heading downbound, following that winding route to the ocean again. (Proof that my plan is workable.) Some of them are incredibly beautiful, while others look like hard times and rough seas have just about done them in. They ply these waters alongside our own Lakers and sometimes it’s a toss-up over which of them is more wondrous. Our Great Lakes boats can reach lengths of 1000 feet or better—the length of three football fields and then some. Their size is just amazing--a sight we never get used to. We can’t see the channel from our cabin, so we can’t watch the boats from here, but sometimes in the fog we hear their urgent horns. 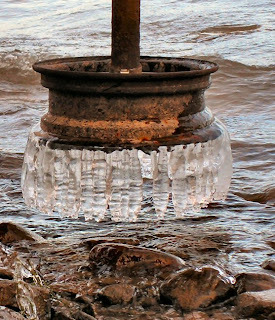 The first time I heard them, I felt a little heart-tug, remembering the huge fog horn on the Coast Guard Station at Five Mile Point on Lake Superior, near the cabin owned by my Aunt and Uncle. It was a two-note horn, OooAaa, OooAaa; over and over, far into the night, lulling us to sleep, with us not giving a single thought to boats possibly being in danger, steering clear of the direction of those horns. There was a kind of eerie romance about them and when the fog horns were gone from the lakes, having given way to a quieter technology, it took us years to stop listening for them in the fog. The boats have a language of their own—a series of boat whistles that is a form of talking to each other. We landlubbers love hearing them, and we keep a horn blast glossary so that we know what’s going on. One long and two short means they’re greeting (or saluting) one another. One long at two minute intervals or less means they’re moving in fog or snow. One short, one long, one short means they’ve anchored in reduced visibility, and five or more quick short blasts means the threat of imminent danger. For the past couple of years, there has been a lottery to win a trip on one of the Lakers, and twice now I’ve bought tickets hoping to get my husband on one of those boats. That’s his dream—to ride along with those crews and experience the wonder of those massive carriers. But he’s not alone there. How can anybody watch those beautiful boats silently glide by and not want to be on board? Today is Independence Day--better known these days as “The Fourth of July”. In 1776 it was the day the 13 British Colonies officially became independent states, and it was unequivocally a Big Day for America. So why do we call it “The Fourth of July” and not “Independence Day”? It’s become the day for picnics, parades and fireworks, and any thought of our Founding Fathers and what they accomplished is pretty much left in the celebratory dust. That’s pretty sad. But I get a little giddy and my heart beats a little faster at the thought of the hundreds of millions of American flags—from the tiniest to the most outrageously ostentatious--flying freely, wildly, proudly today. 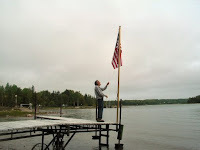 It’s the one thing I love about our modern-day Independence Day celebrations—all that flag-flying. Our flag is the most stunningly beautiful in the entire world, without question (at least to me and most Americans). It’s a brilliant concept, in that the original 13 colonies and all 50 states are represented. The colors couldn’t be better. The overall pattern—stars and stripes—is a purely original, radically clever design. It’s perfect. We go through flags pretty quickly here, what with the howling north winds doing a constant number on them, but I’ve noticed in the last couple of years that the majority of the flags sold today are made in the USA. Hooray for that! If I have one gripe, it’s that too many times our flag is used strictly commercially as a come-on. That’s sacrilege to me. I hate seeing huge, building-sized American flags flying over businesses. Our flag is a national treasure and very nearly a sacred symbol to a whole lot of us, and to see it relegated to the role of advertising gimmick gives me chills--and not in a good way. I don't want our flag diminished in any way by using it for purposes never intended. But it’s one of those things I’ll have to get over, because I see it’s done more and more. And I don’t want to be a curmudgeon about it—especially on this day. Happy Independence Day and have a great Fourth of July.